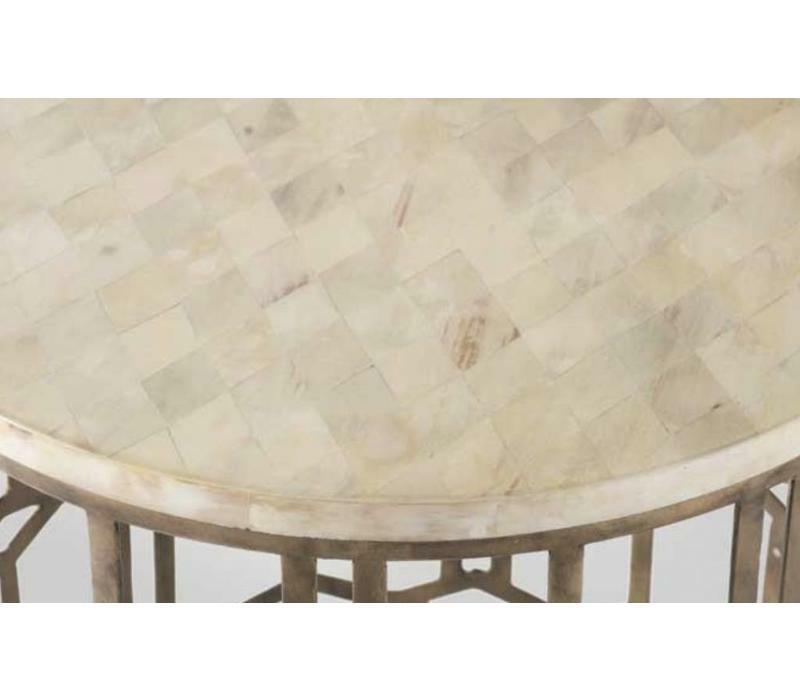 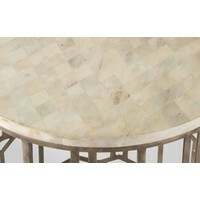 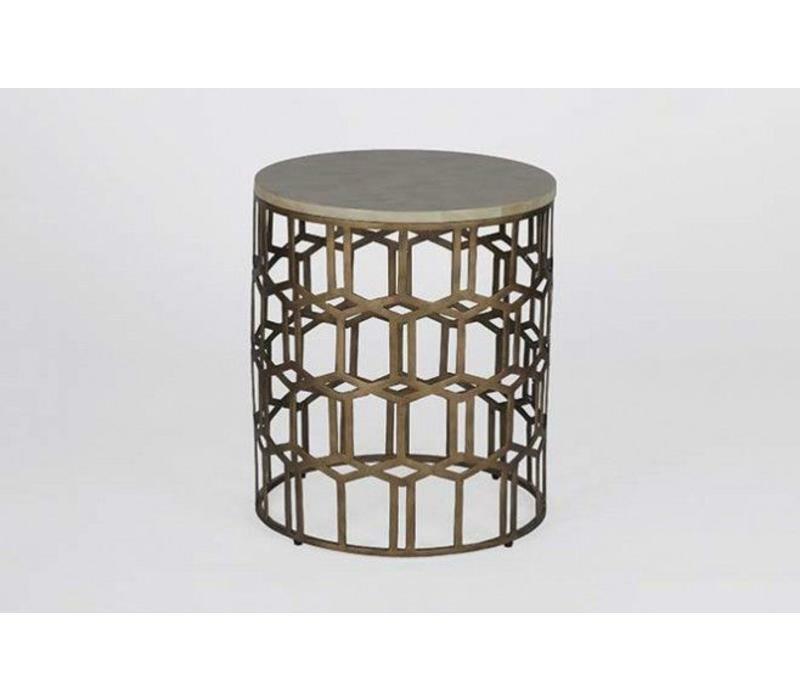 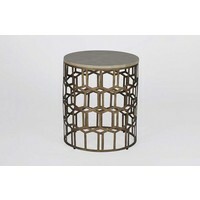 This transtional round end table features a geometric brass colored diamond motif on the base. 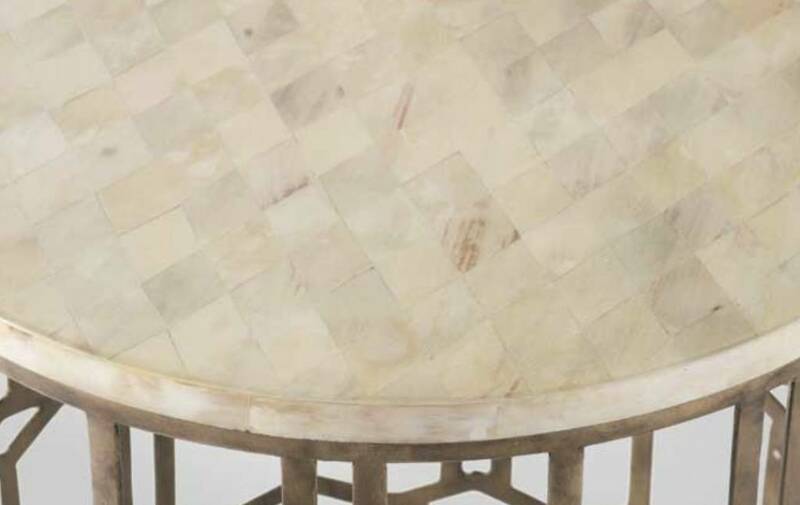 The diamond pattern is also carried over to this ornate Faux-horn inlaid top. 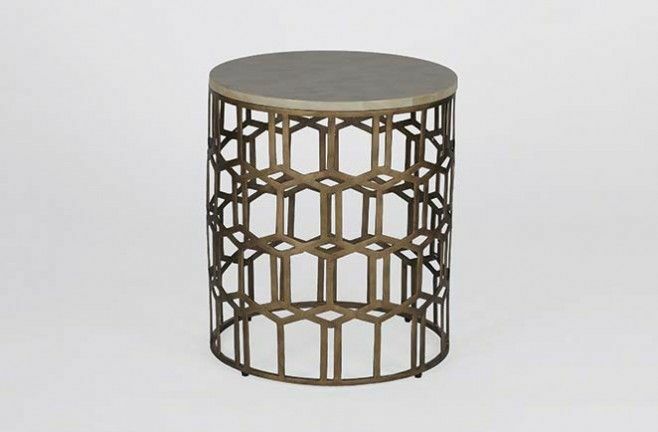 Diamonds are a girls best friend.